Mod for PES 2013 game, created by ginda01. Mod for PES 2013 game, created by ong. Mod for PES 2013 game, created by bagus72. Mod for PES 2013 game, created by Starkiller. Mod for PES 2013 game, created by truvahorse. Mod for PES 2013 game, created by Samuel Cannavaro. Mod for PES 2013 game, created by www.p30pes.ir. Mod for PES 2013 game, created by Douglas. 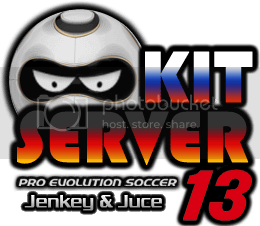 Mod for PES 2013 game, created by Kwill. Mod for PES 2013 game, created by reiz86.